CEDAR CITY — The Bureau of Land Management has signed a decision authorizing a wild horse gather and removal in the North Hills area southwest of Cedar City in Iron County. The agency’s decision authorizing the collection and removal of horses was signed at BLM’s Cedar City Field Office last week. The operation’s objective is to achieve and maintain a balance between wild horses on the range and other public land resources as well as updating the Herd Management Area Plan that establishes short- and long-term management objectives for the wild horses and habitat. The North Hills area’s current population is estimated at 254 horses – which is more than four times higher than the appropriate management level of 40-60 horses, according to a BLM press release. The area is jointly managed by the BLM and the U.S. Forest Service. The population size was determined based on public input, vegetation inventories, allocation of forage and other resource considerations in order to support wild horses in balance with other uses and values on public land. The North Hills gather is the first step in reducing herd numbers in the area to a sustainable level. After analyzing the environmental assessment, it was determined the action was needed to achieve and maintain a population size within the established appropriate management level and establish short- and long-term management and monitoring objectives for the wild horse herd population, according to the press release. The gather plan is also designed to protect rangeland resources from further deterioration associated with the current overpopulation and restore a thriving natural ecological balance while at the same time support the multiple-use relationships that exist on public lands. For more information on how to adopt or purchase a wild horse or burro, click here or call 866-468-7826. 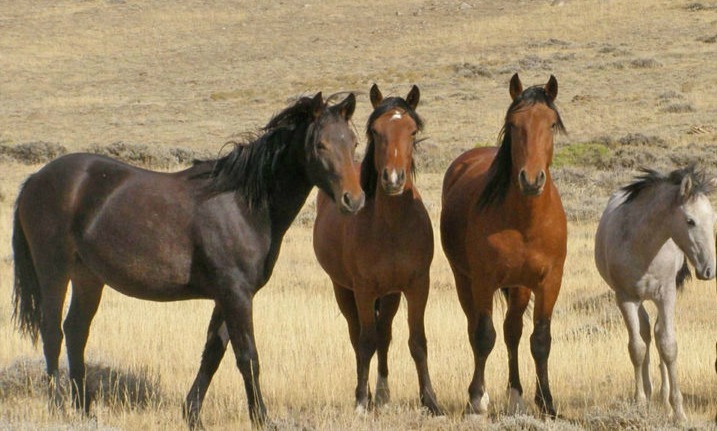 Should the BLM remove 'excess' wild horses in southeastern Utah? Comment period open.